The best solution for tile and grout cleaning is always incredible, simple to mix and amazing to use and see the outcome. Just two amazing items are more than enough to create a magic. 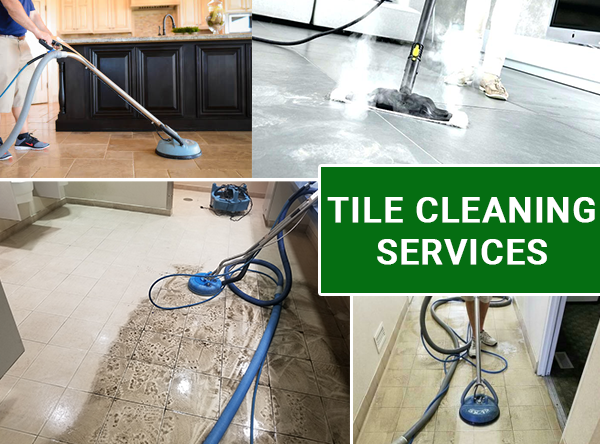 Homemade tile cleaners are always best compared to the commercial cleaners. On the other hand, commercial tile and grout cleaners are manufactured using high concentrated chemicals which are really not good to you and your family environment. Here are the best cleaning solutions for the ceramic tile floors. Take 24 ounces of spray bottle and fill half of the bottle with white vinegar. Now you have 12 ounces of place in the spray for other ingredients. Slowly add water into bottle, try to secure the space for other two ingredients. Add a squeeze of detergent liquid and few drops of citrus essence, like orange, lime, or wintergreen. Now, close the sprayer cap tightly and turn the bottle upside down and right side up as much time as possible. Shake the bottle well until the ingredients in the bottle mix up well. What is The Equipment You Need To Clean The Tiles? Sweeper or mop, these two tools work well to apply and to remove the solution. Just fix the dry sweeper or mop cloth to the pad by pressing the edges. Fix the mop or sweeper using your thumb or index finger into the gripper openings. Use a microfiber cloth to wrap the pad as this will work better and gives you the best results. it is very easy to clean and use again and again. If you have a string mop or sponge mop, use it instead of tying the microfiber. To begin with a mop or sweep the tile floor to eliminate the loose materials such as dust, debris, pet hairs etc. After removing the loose materials, spray the surface with Tile and Grout Cleaning solution. Now mop the liquid, if the weather is warm the solution will dry quickly on its own. in case if you want to use the cleaned room immediately in the cold weather, wipe the surface with the dry and shine mop or use an old fluffy towel. Just place the towel on the floor and stand on it and walk on throughout the floors. This will completely dry the floors in just minutes. For removing the stains apply pine sol original, dilute ¼ cup of the solution on 1 gallon of water and apply on the floors and rinse it immediately. The kitchen to fight the leg fatigue, degrease the tile with mild detergent liquid and mix it with water. Rinse the mop or microfiber cloth, squeeze it and turn it over to cover the large area. Rinse the cloth in the sink before you wash it. Wash the cloth separately, use oxygen cleaner to wash the cloth.